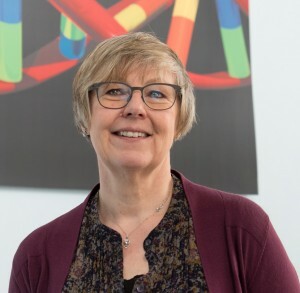 Our principal investigators – Professors Rita Horvath and Volker Straub lead the John Walton Muscular Dystrophy Research Centre and hold joint appointments between Newcastle University and the NHS. Along with Emeritus Professor Kate Bushby, they have over 160 publications in the last three years. 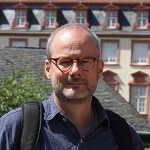 Professors Horvath and Straub split their time between research and clinical commitments, with a focus on neuromuscular disease, and they provide leadership across the five strands of the centre. About the Team – One of the great strengths of the centre is its collaborative and multidisciplinary approach, both within the team at Newcastle and with other leading experts around the world. Genetic neuromuscular disease includes some very rare conditions and it is through establishing these partnerships that the biggest strides towards improving diagnosis, care and treatment for patients can be made. 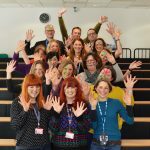 Research centre launch day – We were delighted with the number of people who were able to join us for the celebratory launch day which represents the culmination of 50 years of excellence in muscular dystrophy research and care in Newcastle under a new identity. 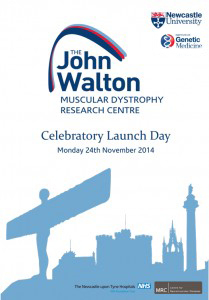 John Walton – Lord Walton’s contribution to the field of muscle disease research and patient care is enormous. He has been a leading figure in the field for over 50 years and trained many of the current leaders in the neuromuscular field. 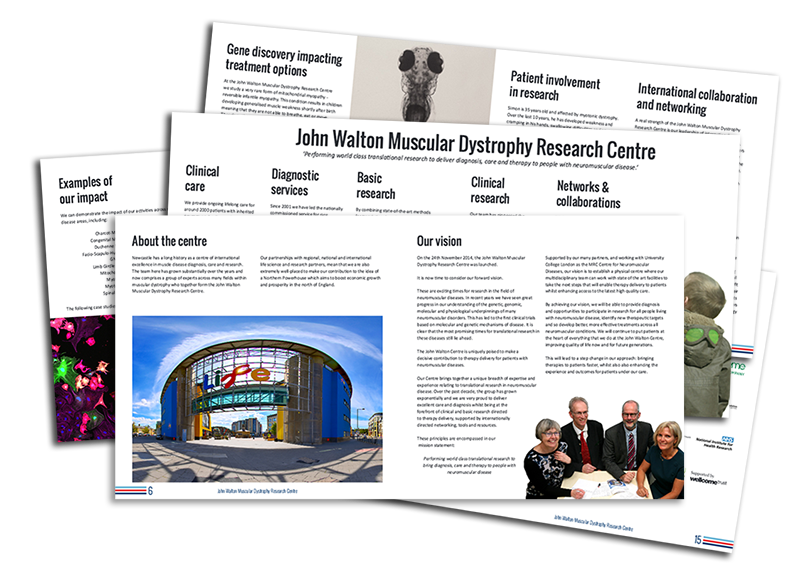 Our publications – The John Walton Muscular Dystrophy Research Centre has an excellent publication record. Our most recent publications can be found below. Clinical Care – The John Walton Muscular Dystrophy Research Centre runs multidisciplinary paediatric and adult clinics for over 2500 NHS patients per year with a range of neuromuscular diseases throughout the North of England. Diagnostics – The John Walton Muscular Dystrophy Research Centre leads the National Specialised Commissioning Team (NSCT) service for rare neuromuscular disorders, and is specifically responsible, through the NHS Northern Genetics Service, for the National Limb Girdle Muscular Dystrophy Diagnostic and Advisory Service. Basic research – The research team conducts basic research into the nature and molecular pathology of neuromuscular diseases using cutting edge genetic techniques. 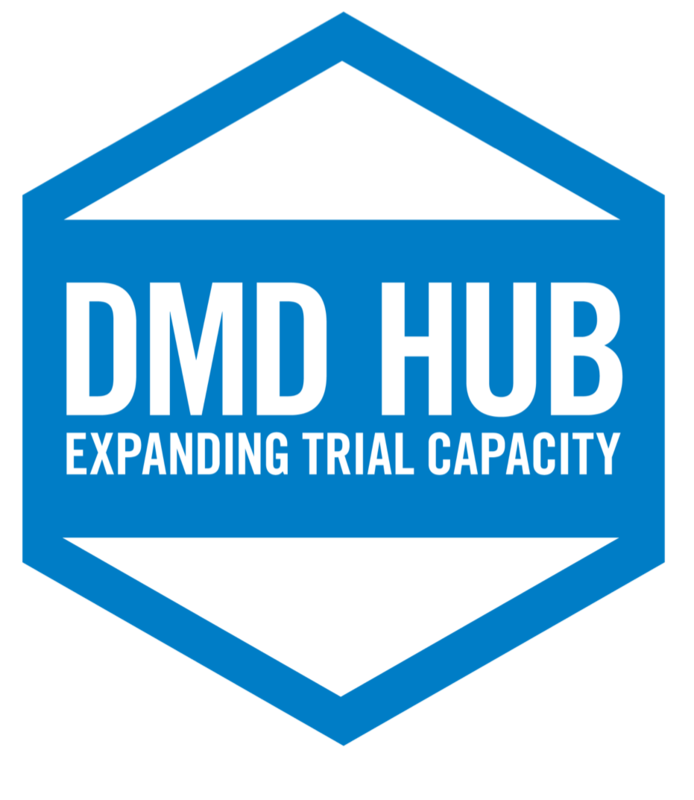 Antisense Oligonucleotide Therapies for Duchenne Muscular Dystrophy – Almost 25 years after the discovery of the dystrophin gene, the first generation of antisense oligonucleotides (AON) has entered clinical trials to target post-transcriptional control mechanisms and improve dystrophin expression and function. Molecular Genetics of Neuromuscular Diseases – One major focus of the research team is to identify the causative DNA changes underlying the NMD in patients both from the North of England, but also worldwide. Understanding the Function of NMD Genes – There are over 20,000 genes in the human genome. Whilst the function of many has been worked out in some detail, many others remain of unknown purpose. Clinical research – The John Walton Muscular Dystrophy Research Centre plays an active role in clinical research and runs a range of studies with the Clinical Research Facility (CRF) that involve both children and adults with muscular dystrophies. 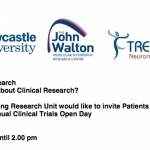 The CRF is a collaboration between Newcastle University and Newcastle upon Tyne Hospitals NHS Foundation Trust. Public engagement – Involving patients and the public in our work and keeping them informed about what we do is an important goal of the John Walton Muscular Dystrophy Research Centre. Patient registries – The team in Newcastle are experienced in the set-up and coordination of neuromuscular registries. A number of national and international registries are run from the John Walton Muscular Dystrophy Research Centre, collecting data on over 1,500 neuromuscular patients. UK SMA Registry – The UK SMA Patient registry is a database of genetic and clinical information (or data) about people affected by spinal muscular atrophy (SMA). Spinal Muscular Atrophy (SMA) is a rare inherited neuromuscular condition, which may affect crawling and walking ability, arm, hand, head and neck movement, breathing and swallowing. SMA is caused by a fault in the gene called Survival Motor Neuron 1 (SMN1). UK Facioscapulohumeral Muscular Dystrophy Registry – The UK FSHD Patient registry is a database of genetic and clinical information about people affected by FSHD1 and FSHD2 and was established in 2013. This online patient driven registry combines patient reported outcomes with professionally verified genetic information through a secure online portal. The primary aim of the registry is to facilitate and accelerate recruitment into clinical trials and research. The registry is governed by a Steering Committee of clinicians, researchers and patient organisation representatives and receives funding and support from Muscular Dystrophy UK. UK Myotonic Dystrophy Registry – The UK Myotonic Dystrophy Patient registry is a database of genetic and clinical information about people affected by myotonic dystrophy type 1 (DM1) and type 2 (DM2) and was established in 2012. This online patient driven registry combines patient reported outcomes with professionally entered clinical and genetic information through a secure online portal. The primary aim of the registry is to facilitate and accelerate recruitment into clinical trials and research. The registry is governed by a Steering Committee of clinicians, researchers and patient organisation representatives and receives funding and support from the Muscular Dystrophy Campaign and Myotonic Dystrophy Support Group. Global FKRP Registry – The Global FKRP Registry is an international registry that collects genetic and clinical data about persons affected by conditions caused by mutations in the FKRP (Fukutin Related Protein) gene, namely Limb Girdle Muscular Dystrophy type 2I (LGMD2I), and the rarer conditions Congenital Muscular Dystrophy (MDC1C), Muscle Eye Brain Disease (MEB) and Walker-Warburg Syndrome (WWS). GNE Myopathy Disease Monitoring Program – GNE myopathy is also known as Hereditary Inclusion Body Myopathy (HIBM), Quadriceps-Sparing Myopathy (QSM), Distal Myopathy with Rimmed Vacuoles (DMRV), Nonaka Myopathy or IBM Type 2. It is an ultra-rare autosomal recessive distal myopathy due to mutations in the GNE gene. 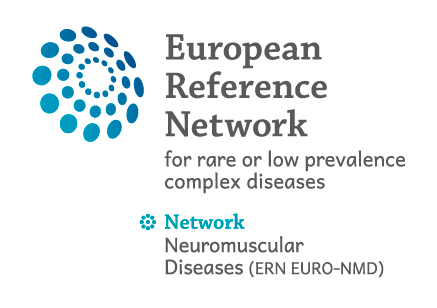 GNE Registry – The GNE registry is a part of GNE Myopathy Disease Monitoring Program (GNEM-DMP) and is an international patient self-reported registry. 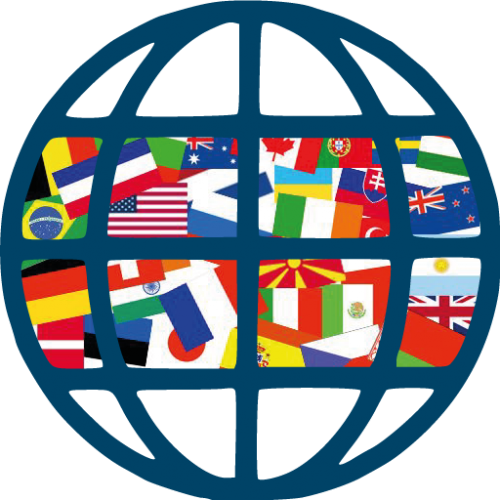 We welcome all GNE patients over 18 years old worldwide. 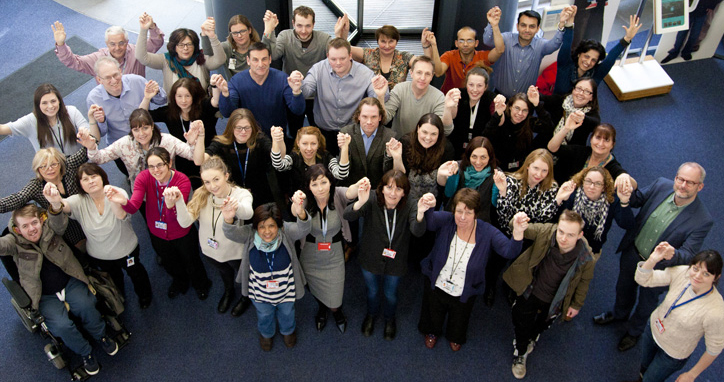 Global registries – Within the John Walton Muscular Dystrophy Research Centre is based the TREAT-NMD Alliance Secretariat whose one of the roles is to coordinate the Global Registries for DMD and SMA. Those registries bring together all of the relevant disease specific national registries, accounting for over 12,000 genetically confirmed patients. The idea of the SKIP-NMD project is to perform a safety assessment of a lead PMO compound to skip exon 53, and perform a randomised study looking at safety, biochemical efficacy and exploratory clinical efficacy of this novel antisense in ambulant boys affected by DMD. Exploratory measures will be analyised including muscle MRI and serum biomarkers to assess non invasively response to therapy. Three UK charities (AD; MDC; DMS support group), one Italian (DMP Parent Project Italy, and one French (AFM) are involved in this project. There are a number of companies involved in the project, from those involved in PMO production, to companies which manufacture some of the new outcome measure equipment, to companies involved in preclinical toxicology and MRI data acquisition and analysis.